ON SALE! Regular price $14.99 Sale price just $9.99 while supplies last. This was a limited print run and when they're gone, they're gone. We will not be reprinting these shirts. Order today and save! 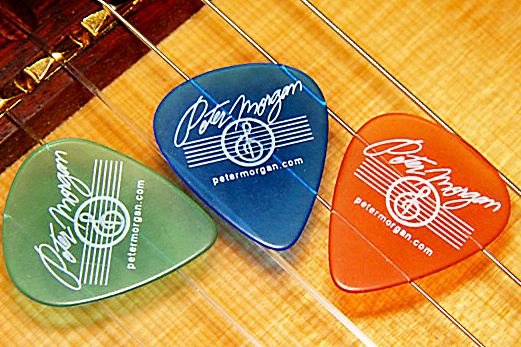 These limited production Peter Morgan logo guitar picks are top-quality translucent PVC with color tint. Great sound, great feel and a great look in a substantial thick feel. 3 picks for $1.49. *Actual magic results may vary by player's music theory knowledge and hours of actual practice time. GOLF BALLS - SOLD OUT! 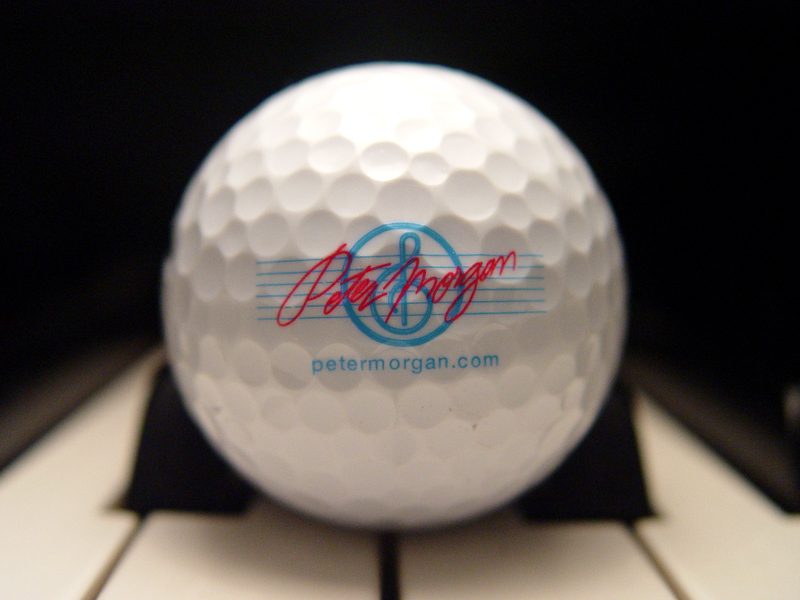 Sorry, The Peter Morgan logo golf balls are sold out. It was a fun gift idea for the golfer that loves smooth jazz while they lasted. Not to worry, you didn't miss much. Peter offered no guarantee that these balls will improve any golfer's score. Certainly didn't help his game. Though they looked great as they flew into water hazards and disappeared out of bounds. Please Follow and share Peter and his music on FaceBook, LinkedIn and Twitter for the latest music news.